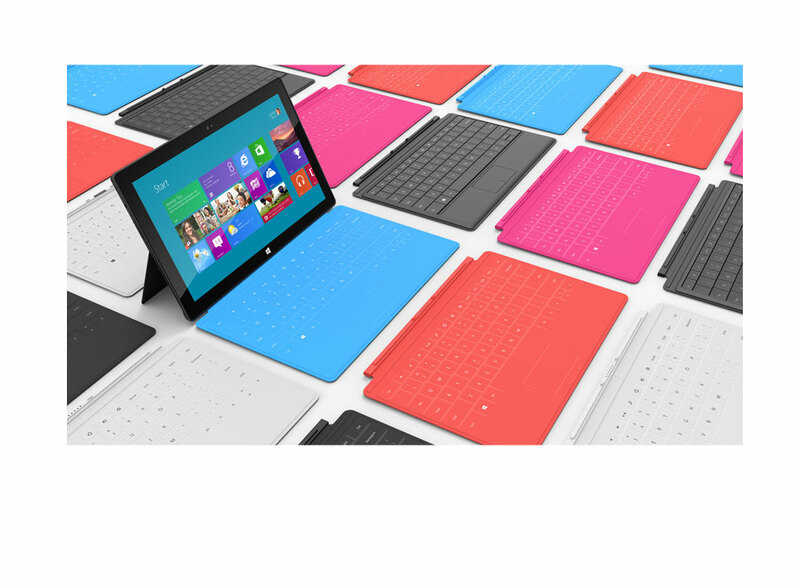 Microsoft announces it's own Surface tablets, in RT and x86 versions ! Discussion in 'Gadgets and Consumer Electronics' started by ManISinJpr, Jun 19, 2012. Just as we all ( well I expected it ) expected it, Windows declared to the world that it is making its own tablet, both in ARM and x86 versions. here are more details. for all you to savor !! 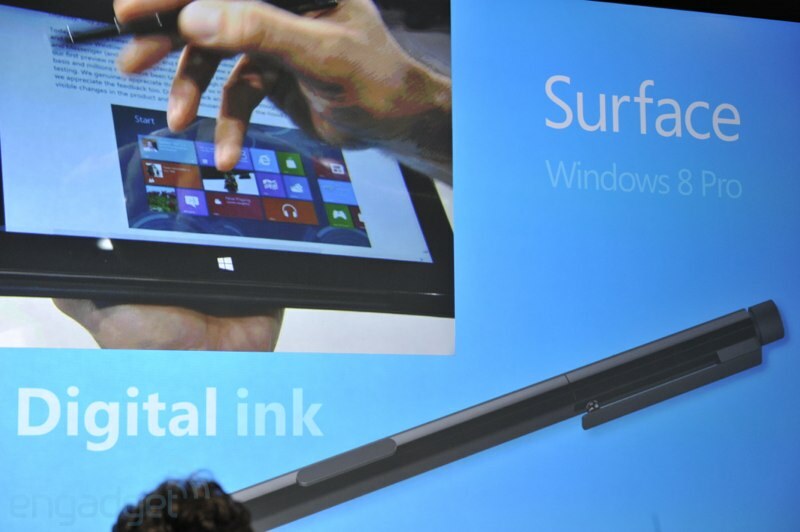 Microsoft didn't just announce one Surface tablet today -- it's announced one for each of the main varieties of Windows. That includes the Surface for Windows 8 Pro, which is slightly larger and decidedly more Intel-based than its ARM-fueled counterpart for Windows RT. In addition to the more full-fledged OS, it packs a larger 42 W-h battery, an Ivy Bridge Core i5 processor (at least in the model on display today), USB 3.0 ports instead of 2.0, and your choice of 64GB or 128GB of storage (double the standard offerings of the RT Surface). You'll also get a higher 1080p resolution from the 10.6-inch ClearType display, but it comes wrapped in a package that's 13.5 mm thick and weighs 903 grams (compared to just 9.3 mm and 676 grams for the RT). That's apparently not big enough to disqualify it from Microsoft's new keyboard-laden covers, though, and it even gets another accessory of its own: a pen with "Palm Block." As for pricing and availability, Microsoft is only going as far to say that it will be "on par with Ultrabook-class PCs" and available about three months after the Windows 8 launch (when the RT model will be available). So, what's the story? Well, for one, Microsoft's playing coy when it comes to both CPU speed and available memory. Not unlike Apple and its iPad, actually. We're guessing that the company will try to push the user experience instead of focusing on pure specifications, and it's frankly about time the industry started moving in that direction. Pure hardware attributes only get you so far, and judging by the amount of integration time that went into this project, Microsoft would be doing itself a huge disservice to launch anything even close to not smooth-as-butter. It's worth pointing out that the ARM-based WinRT (psst -- you can catch up on what exactly Windows RT is here) model is both thinner and lighter than the version with Windows 8 Pro. Moreover, the battery is sized up in the latter, presumably to handle the higher power drain of the 1080p panel and the Core i5 processor. Strangely, microSDXC and USB 3.0 are only supported on the Win8 Pro model; we're guessing it's either a platform limitation, or just run-of-the-mill cost cutting. That said, bundling Office with the WinRT edition is apt to make Win8 Pro buyers salty; why not include it with the slate that'll be priced like a laptop (i.e. well north of what a lot of buyers will be willing to pay)? While we're comparing and contrasting, it's also vital to note that the WinRT variant won't ship with a 1080p panel; Microsoft didn't get specific on screen resolution, but a paltry 1366 x 768 is going to look mighty pixelated sitting next to a 1080p Win8 Pro sibling, a Retina-equipped iPad and ASUS' 1080p Zenbook / Transformer lines. Sound interesting, lets see how this competes with other tablets. I am waiting and watching the space but full productivity in this form factor will do good for me.. I love teh 3mm Keyboard in various textures and colors and how it just magnetically attaches to the device !!! 1 x USB 2.0 .. that too for a tablet launching later this year ..
Should have atleast 2 ports .. There is USB 3 one too !! Thats the Intel version of the tab with the USB 3.0 . 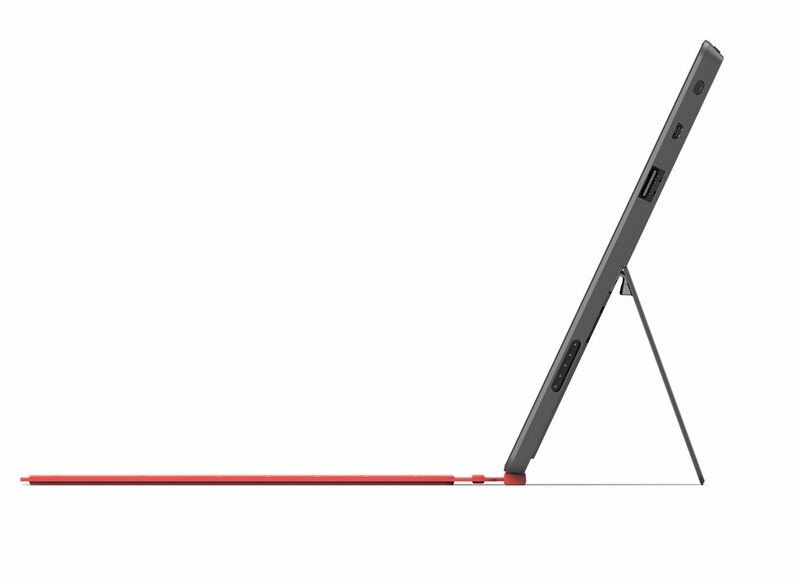 .which is pretty much a keyboardless ultrabook. The RT tab is lacking in connectivity against the competition. The thick question here is going to be pricing. 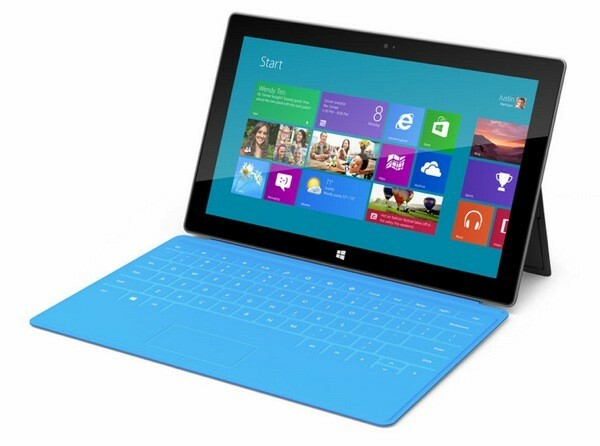 With windows 8 OS unlikely to be below 100-120$ for a home edition, that could really elevate the price of this tablet. However a price point of 350-400$ will make it a killer deal, coz it can be used for other than just recreation/leisure. That the part where MS is deciding to sell their tablets by themselves .. They can pretty much give away Win 8 for free and save on the cost .. to match the competetion in the early phase. But the big question here will be will for future HW partners like Nokia .. how much margin can they get. And lastly .. its whole new era of anti-competitiveness .. MS will need to tread carefully. Forget the added cost of the OS, the big question IS the price. The cost of added OS will determine the final price .. $399 for the RT I'm predicting. Also I see no mention of it having any 3G/Cellular connectivity .. if not then its a total BUST ..
Read what I have said above.. if MS wants then they can give it for free !!! and you guessed pretty right.. it should be around that price ! It will have 2 antennas ! did you again not read the specs that I posted !! so here is a link for you which tells about Memo antennas ! Okayy... I though MIMO was just for WiFi protocols ..
It’s unclear if the Surface devices feature 3G/4G wireless connections. 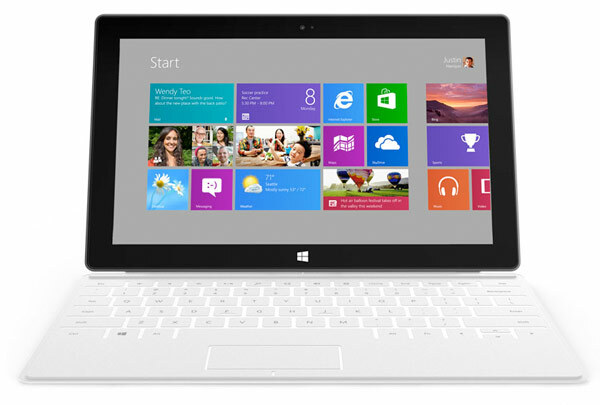 Microsoft indicated that the devices have “2x2 MIMO antennae”, which should work for Wi-Fi, 3G and WiMax, Gedda said. Many tablets in use by businesses are Wi-Fi only, but “the trend is towards always-connected devices which can use either Wi-Fi or a mobile network”. “It is unlikely the Surface will remain a Wi-Fi-only device even if the first generation does not sport mobile network connectivity,” he said. I read the tentative pricing, what I am interested in is the practical market price after two months of product launch, once the price is stable. You're asking for too much bud ..
1. Availability after 2 months of launch ..? 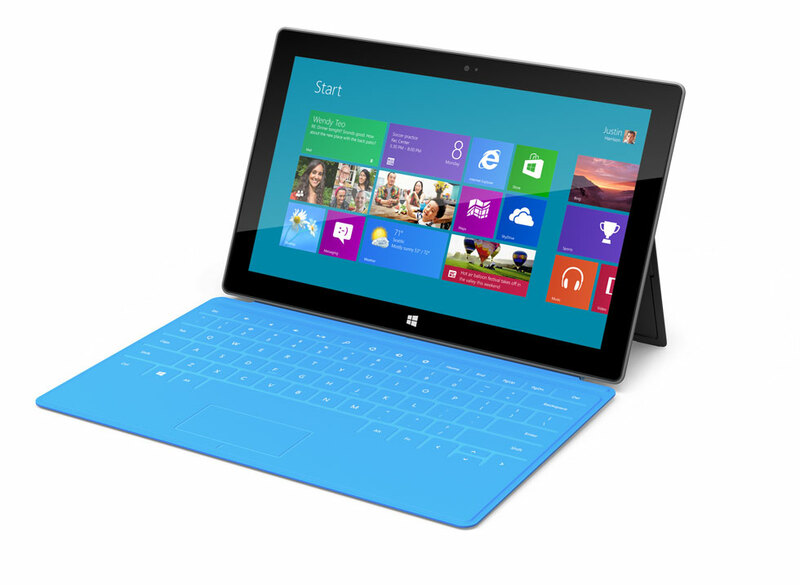 Reason - Windows 8 pro edition will be a tablet along with full fledged OS. Only reason why i didn't want to get into tablets was the limited iOS/Android variants that were there. Those OS are fine as far as smartphones go. But for a tablet, i want something much more capable. And what can be better than full blown windows???? And as far as tablet/touchscreen functionality go, I have been using the Lumia 9000 for 2 months now, and it is in fact the best mobile OS as of now. Smooth, fast and slick. JD666, ManISinJpr and SumitB like this. Win 8 pro tablet will be too friggin expensive to even consider ..
the RT tablet will be underpowered and will have tougher competition from ASUS by the time it launches .. So while these tablets have taken a step in the right direction .. I am not too optimistic about their individual success. 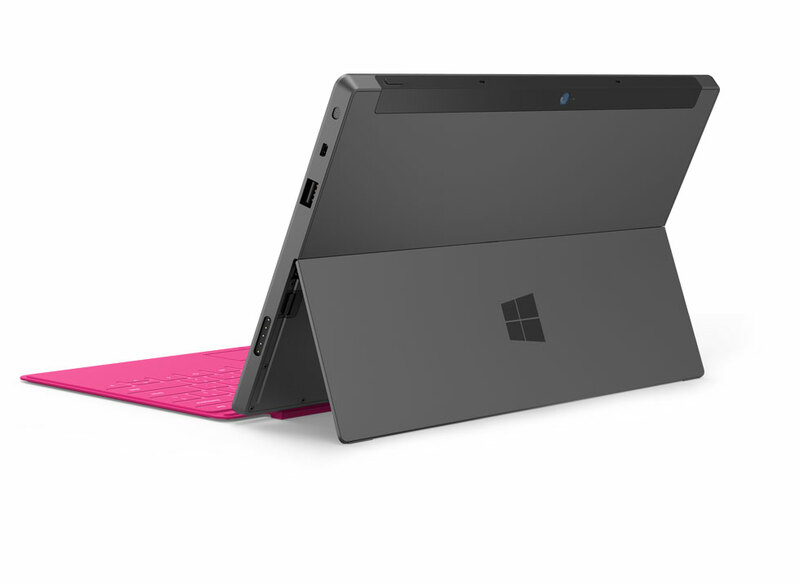 Also the first iteration never gets it right .. wait for Surface 2 or 3 ..
And finally -- how hackable/moddable is this ?? 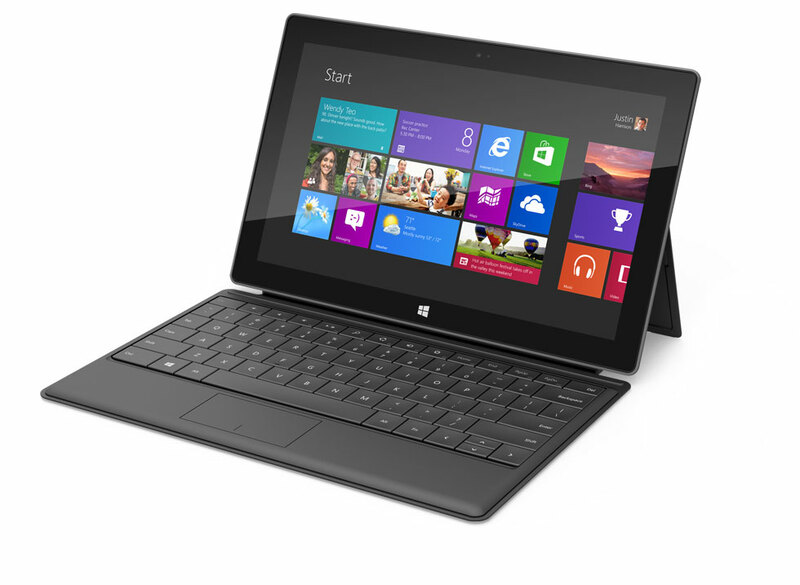 Can I dual boot Win 8 & Android ? ?